When you’re seeking a divorce and you and your spouse can’t agree on major issues — such as property division, child custody, and child support — you will have to go through a contested divorce. This is an expensive process. If you have been avoiding divorce because of the cost, there is an affordable alternative for ending your marriage in Oklahoma. There is a mandatory filing fee that is different in every county. This fee can vary, so you’ll have to contact the county clerk in order to get the exact amount. Additional fees can include mailing, court and transcript fees, and the cost of a process server, if necessary. This filing fee does not include your attorney’s fee, which will vary from case to case. When you file for an uncontested divorce, the time that your attorney has to spend on the details could range from a few to several hundred hours, depending on your circumstances. MicroDivorce offers a fast and affordable uncontested divorce service. This service will provide you with a one-time flat-rate fee that covers the entire process, including filing and attorney fees. See if your situation qualifies you with our Fee Estimator. When you divorce in Oklahoma and have minor children, the state will require that you complete divorce education classes. These are classes that you take at your expenses that you must complete within 45 days of receipt of a temporary order. These classes cost anywhere from $15 to $60 per parent. Proof of class completion must be provided to the court before your divorce is granted. Some counties may also require parenting classes upon divorce. This is a separate class that generally costs $20 to $30 per person. You may run across services that will provide a do-it-yourself divorce kit for an Oklahoma divorce that costs anywhere from $150 to $250. This is cheap, but there is a big reason for the steep discount — these services are not permitted to give legal advice, and the final judgments issued by the court often can’t be modified. It’s in your best interest to have an attorney legally advising you with your best interests in mind. DIY Divorce services are essentially filing services by paralegals. They are not allowed to give legal advice. Additionally, you have no protection against potential mistakes when you use a do-it-yourself divorce. Any errors that you make will be beyond repair. This includes mistakes to property division, child custody and visitation agreements, child support, and alimony. An error in any of these areas has far-reaching consequences, which is why it is best to enlist the services of a qualified attorney who will advocate for your rights. 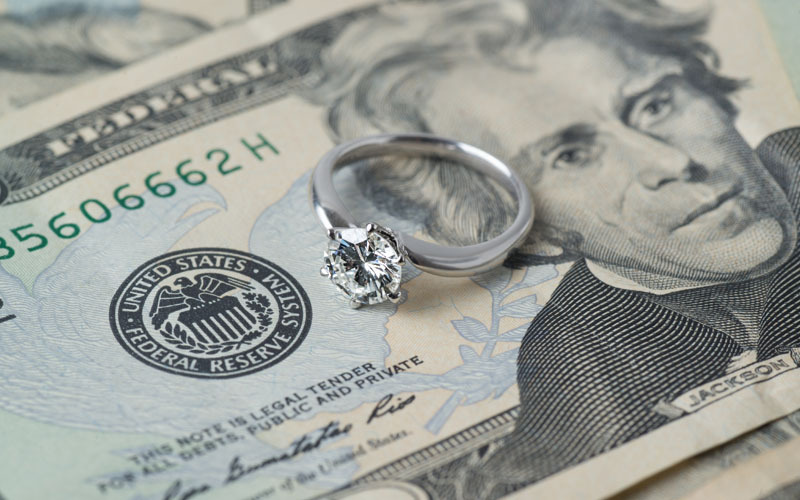 You may be concerned about the cost of your divorce, but you will have a much better outcome if you and your spouse can get an uncontested divorce through an actual Oklahoma Family Law attorney. If your situation qualifies, MicroDivorce offers a quick and easy service for uncontested divorce in Oklahoma. Find out now if you meet the qualifications.